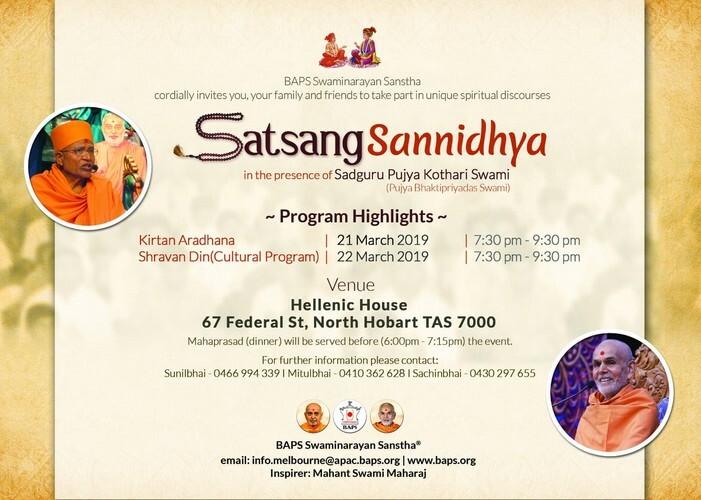 Satsang Sannidhya is 2-day evening event in presence of Sadguru Pujya Bhaktipriya Swami (of BAPS Hindu Sect). On 21st March - Kirtan will be played by music expert saints and youths. On 22nd March - A cultural program consist of Drama will be presented. On both days Sadguru Pujya Bhaktipriya Swami will deliver discourse and bless the assembly.